There aren’t many people in modern country music that can project such a small-town-neighborly vibe that you’re able to feel as though you’ve met them. Their songs are not far-fetched rants of decadence and fame. There’s no mistaking that Lee Ann Womack has that incredibly genuine demeanor. Call Me Crazy, released less than month ago, is Lee Ann’s long-awaited seventh album, chock full of her signature style of vintage country-pop songs about drinking and lost love. It’s been three years since Womack has put out a new record. In 2005, Theres More Where That Came From, paid homage to her country-pop heroines from the seventies, specifically Loretta Lynn and Dolly Parton. While her past release was full of rhinestones, bright lights, and the obligatory pedal steel guitars, Call Me Crazy is more of a modern production, featuring Music Row’s finest session players and Mr. Tony Brown (Vince Gill, Steve Earle, Reba McEntire) calling the shots as producer. The album’s first single, “Last Call”, is an amazing showcase of Womack as a vocalist. It’s a testimonial of a girl who receives a call from her former guy friend. She doesn’t want to answer it, because she knows he’s been drinking and that she’ll be his “last call”. Call Me Crazy features some great and unexpected cameos. She was able to get Keith Urban in the studio to lay vocals down on “The Bees”, and George Strait on “Everything But Quits”. The bar-friendly, Otis Redding-influenced “Solitary Thinkin’” is a great uptempo, hanging out in a bar alone-type of tune. In the country music world today, a lot of the artists wear their fame and popular success on the sleeve of their denim jackets. 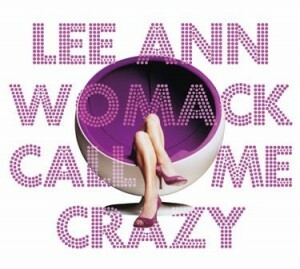 Call Me Crazy’s got the perfect unassuming feel and its a great portrayal of Womack’s vocal abilities. She’s got that aura that can take the saddest song you’ve ever heard, give it a 180-degree spin, and turn it into something you’ll listen to over and over again. Maybe being a sucker for sad country tunes helps out, too. Win a Mayberry’s Finest gift basket and the Grascal’s latest CD!